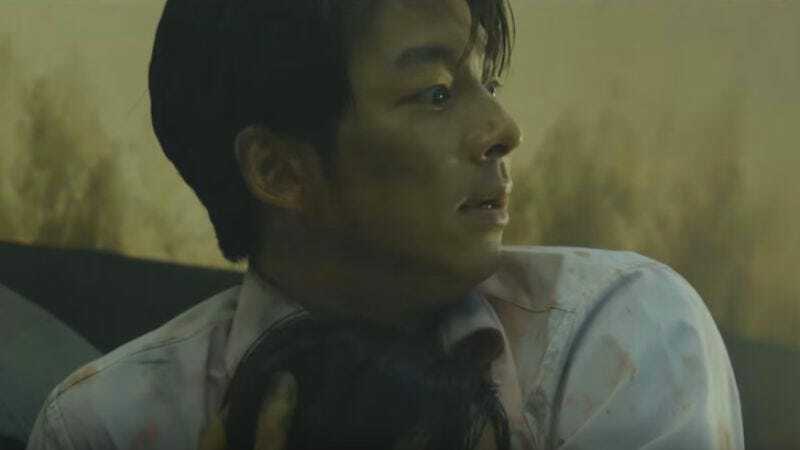 Korean zombie film Train To Busan recently made The A.V. Club’s own “Best Movies Of 2016 That We Didn’t Review” list, but it looks like the film will be getting another shot at a proper review soon—or at least one version of the film will. According to Variety, French movie studio Gaumont has just announced that it’s developing an English-language remake of the film, which will move the undead action from a high-speed train on the way to Busan to a high-speed train on the way to whatever the American-equivalent of Busan is (Boston?). The original was the live-action directorial debut of animator Yeon Sang-ho, and Variety explains that it was “seen as an allegory for the turbulent political situation” in Korea. Interestingly, the story also notes that “political allegories of a different kind may emerge” in the English version, which makes it sound like the zombies will be used as some kind of Trump metaphor. Maybe the virus can be kicked off by one of those fake news stories that spread around on Facebook, but this time it’s spreading around in real life? And the zombies’ skin can turn orange instead of just becoming all rotten? These are free ideas, Gaumont. Just give us a call. You can see a trailer for Train To Busan below.